Vishnu and I got into a little debate this weekend. It’s actually the same debate we’ve been having for a couple of years. He believes that my taste buds are warped to prefer healthy foods no matter what the alternative. As soon as I mention that something is healthy, he looks at me with a little smirk on his face. He is 100% wrong! I love all food as long as it’s delicious. Solid nutrition stats are an added bonus. My friend Monica sent me this recipe (she gets my love for healthy + delicious food). 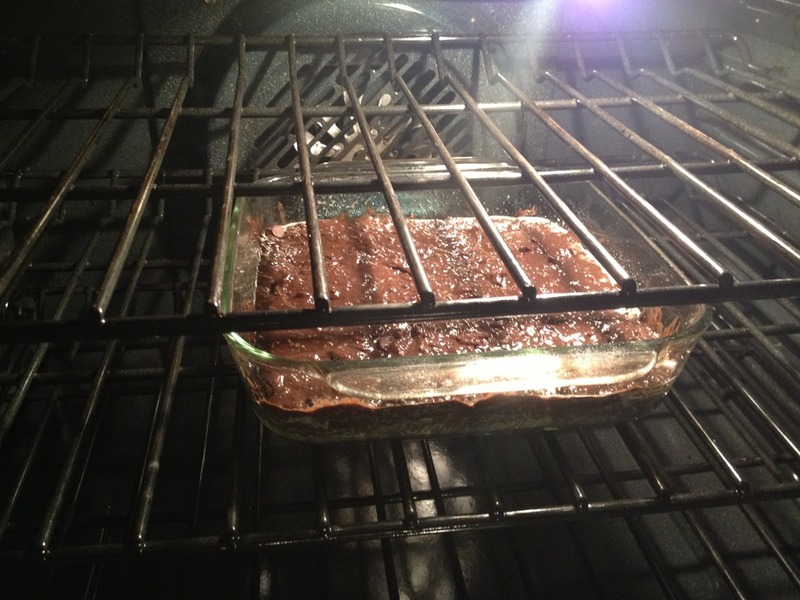 Her mom made these brownies and said they turned out really well. 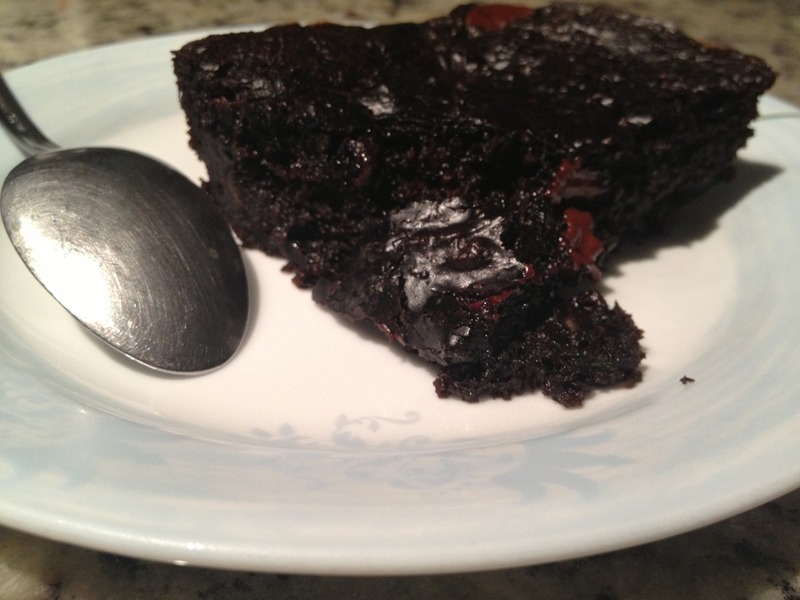 I had no doubts because the chocolate zucchini muffins I occasionally make are amazing, so I figured brownies with zucchini would be equally as good. And if nothing else, it was worth a shot! One, while these brownies are super rich, I wouldn’t call them decadent (proof that my taste buds aren’t warped). What they are is the perfect alternative to their bad boy counterpart. Not that anything is wrong with the real stuff, except when you know that between you and your husband the pan of brownies will mysteriously disappear by the end of the weekend. This still happened, but I don’t feel as bad about it. 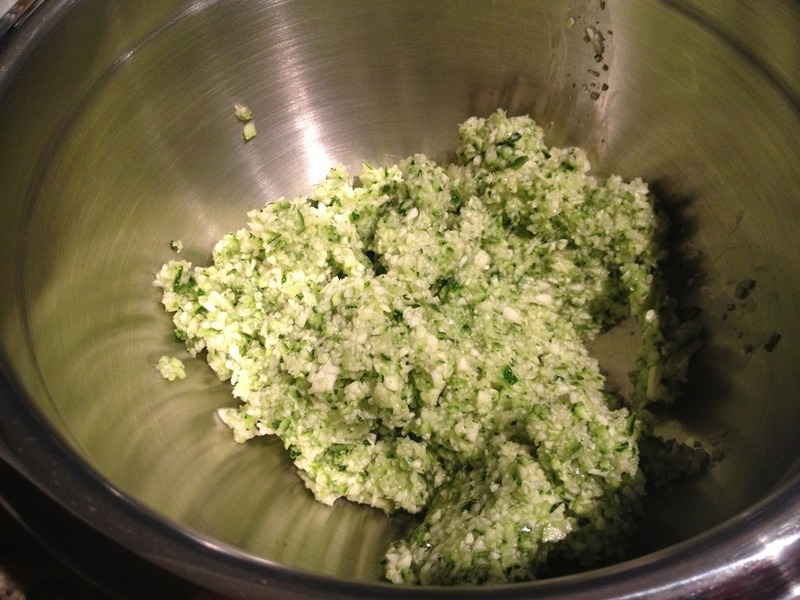 And two, the original recipe called for grated zucchini. instead, I used my food processor to create the smallest pieces possible. I think my way made for a better texture. Preheat oven to 350 degrees. Combine all the ingredients in a large bowl. Pour into a greased baking pan. Bake for 30 minutes. For all the skeptics out there, you really can’t taste the zucchini. I promise (hand on heart). In fact, the finer your zucchini pieces, the more everything just melts together. And talk about moist. Between the water content of the zucchini and the chocolate chips, it’s like you’re eating brownie batter (get your spoon ready). Delicious. As a testament to how good these were, I would like to reiterate that there is not a single trace of brownie left in our apartment. And I was not alone in making that happen. As much as he hates to admit it, I think Vishnu’s slowly making his way over to the “healthy AND delicious” side. MUAHAHAHAHA –>evil laugh! What was the best thing, healthy or not, that you ate this weekend? Yes! Food doesn’t last very long in our house…healthy or not! This post made me really think if I am that way – do I just eat things because its clean and healthy or it actually taste good too? Honestly, I ate some food before just because it was good for me but now the taste bud has adjusted to that or something, however now that I cook more often, food tasting delicious is equally important. Yeah, just by reading your blog and seeing all the pics you post, I’m 100% sure your food tastes delicious! I love zucchini in desserts! My chocoalte zucchini muffins are one of my favorite treats – I swear you can’t tell they are healthy-ish. It’s also good in smoothies!! Haven’t tried the zucchini in smoothie idea yet. Do you have a recipe? I have been looking for a browjnie recipe where I can sneak in some zuchini or avocados…this sounds perfect! Let me know how they come out if you make them! This weekend kind of turned out not to be very foodie. Too much partying! I could use one or five of those brownies right now though! Was it your bachelorette party weekend?! If so, I hope it was a blast! I never tell my husband when something is healthy because he doesn’t care for healthy eating either. Most of the time he likes what I give him and then I’ll tell him it’s healthy and this is what I put in it. 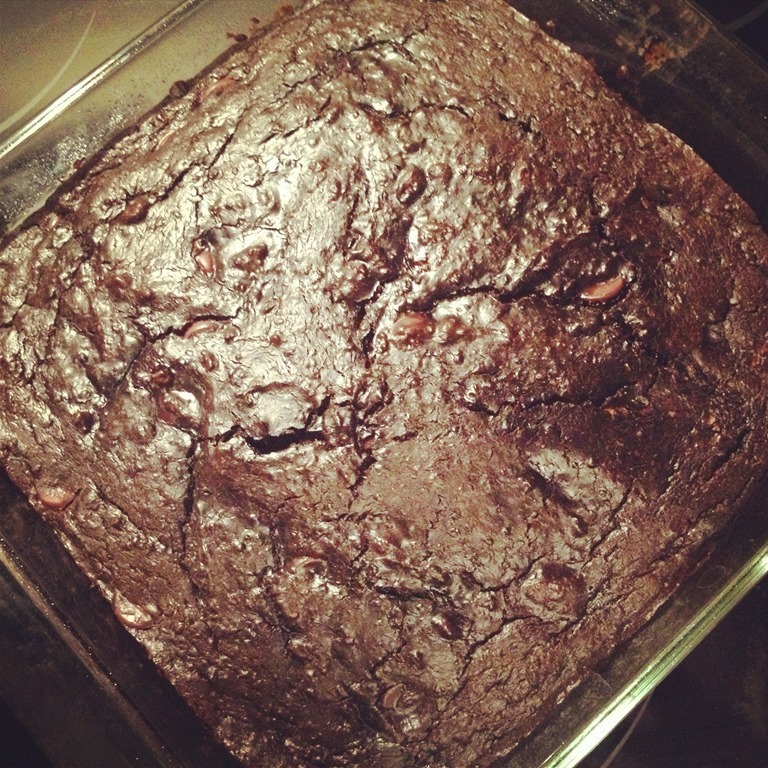 Works like a charm… these brownies look good, but I think those black bean brownies, you can really fool someone.